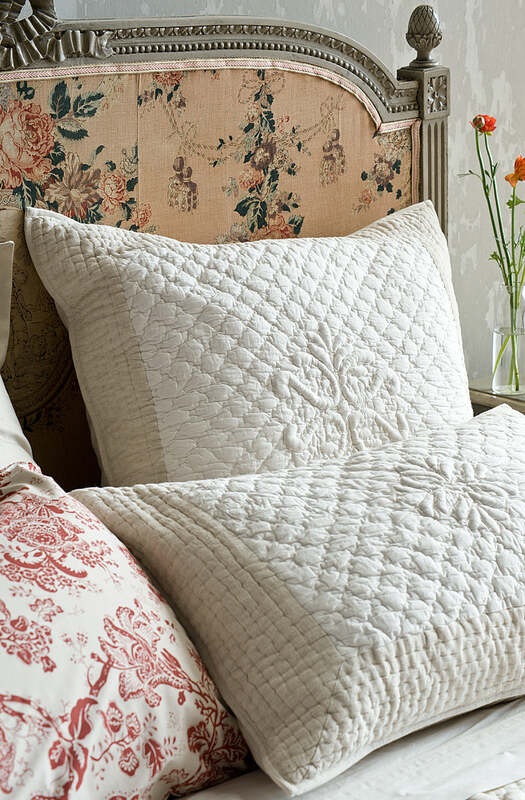 A classic french boutis quilt made of 100% cotton in ivory with an oatmeal linen/cotton border. Padded motifs on the border and centre of quilt are created using the traditional trapunto technique. Pillowshams can only be purchased with the matching bedspread. They cannot be purchased separately.